Saab needs funding to restart production at its factory in Trollhatten, Sweden. BEIJING -- Top Chinese SUV maker Great Wall Motor is continuing to talk with Dutch supercar maker Spyker Cars NV about a potential tie-up involving Saab, a source told Reuters on today. "The two sides have never stopped talking and have been in touch with each other despite the Hawtai/Spyker deal," the source, a person with direct knowledge of the discussions, told Reuters. Last week, Spyker signed a deal with Chinese Hawtai Motor Group, which had agreed to invest 150 million euros ($222 million) in return for shares, providing funds that would have enabled Saab to pay overdue bills and resume production. But Spyker said earlier today that its deal with Hawtai Motor had been terminated, because Hawtai was not able to obtain all necessary approvals. When contacted by Automotive News Europe, Saab spokeswoman Gunilla Gustavs declined to provide more details on the how the deal with Hawtai broke down or say whether the needed approvals could not be obtained from officials in China or Europe. When asked what's the next step for the Swedish automaker, she said that there are Saab and Spyker representatives on the ground in China who are having talks with potential partners there. She declined to name any of the companies involved in the talks. A Great Wall spokesman declined to comment. The source, however, did not rule out chances for a partnership between the two. "It could be mutually beneficial if Great Wall and Spyker team up eventually. The Chinese partner has the cash that Spyker needs, while Saab's technologies and its network in Europe are valuable for the Chinese side," said the source. Great Wall is among a growing rank of ambitious Chinese automakers hoping to emulate the global success of Toyota Motor Corp., Honda Motor Co., Hyundai Motor, among others. Its Hover X240 SUV got a four-star rating in a crash test last year conducted by Australia's ANCAP, a test authority, the highest global recognition for a made-in-China model ever. Great Wall, already selling Hover X240 in Australia and Italy, aims to expand into other western European markets in two to three years and eventually to the United States, company executives had said. The company, one of several independent Chinese automakers, had also explored ties with other foreign brands, including Fuji Heavy Industries' Subaru as well as Jaguar and Land Rover, owned by Tata Motors Ltd. Still, Great Wall must win the endorsement of the Chinese government for any foreign tie-up, a process that has caused some deals to collapse, including Sichuan Tengzhong Heavy Industrial Machinery's bid for GM's Hummer in 2010. Beijing follows a strict and price-sensitive policy when it comes to outbound acquisitions. Deals are also subject to China's typically slow bureaucracy, though Beijing has moved recently to streamline M&A approvals. 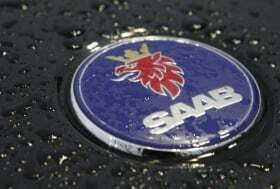 Money-losing Saab has veered toward collapse in recent weeks after running out of cash to pay its bills. Several suppliers stopped delivering parts, halting production at Saab's Trollhattan plant for most of last month. Spyker has struggled to turn around Saab, producing only 31,700 cars last year. It set a sales target of 80,000 vehicles for 2011, but last week said it would fail to meet that. Like most Western automakers, Spyker also wants to boost sales and explore production in fast-growing emerging markets, including China and Russia, as well as Brazil and India. Other potential Chinese partners Spyker had contacted in China include Jiangsu Yueda Group and China Youngman Automobile Group. State-owned Chinese automaker Beijing Automotive Industry Holding Co. paid $200 million in 2009 to buy technologies from Saab, previously owned by General Motors Co., and has set up a 12 billion yuan ($1.8 billion) production base for upscale cars in Beijing. At the time, BAIC was part of a group that made an unsuccessful bid to buy Saab. BAIC President Wong Dazong told Reuters late last month the company was not in talks to invest in the ailing brand. Spkyer, in its statement today, said: "Spyker and Saab Automobile continue to work on securing short and medium term funding. To that end Spyker and Saab Automobile are negotiating equity and debt financing and/or technology licensing with various (strategic) Chinese partners," the release said. The automaker added that discussions continue with the European Investment Bank on allowing Saab to complete a 29 million euro ($41 million) drawdown of its EIB loan and on getting the EIB's approval to sell and lease back Saab property. Spyker added that "as soon as the EIB drawdown or other equivalent funding is confirmed, Saab Automobile plans to restart production depending on the outcome of discussions with its suppliers on terms to resume supplies of materials and services to Saab."